A question that I am asked frequently as a Retro Gamer is what is my favorite RPG. Honestly, if you travel or work with any nerdist culture, this question is vitally important and may truly cause you to win or lose friends. Lucky for me, I am secure enough in my social capabilities that I am not afraid to share it. So without further ado, here you go. My favorite RPG is Final Fantasy II. Yes, I know it is FF4 in Japan but we live in America so deal with it! 🙂 This game was a great creation that came to life early in the Super Nintendo haze. Prior to the release of FF2, I had never actually played too much in the RPG world as most RPG’s on NES were far too difficult. Of course, when you consider that I was only 10 when this game came out and I would have been 9 or younger when NES RPG’s were released, it makes sense that FF2 would have been my first real exposure to the world of RPG’s. I could give an extensive review of the game but that is best saved for later. For a quick summary, the game was released for SNES as FFII and was the first major RPG available for the console. It follows the dramatic story of Cecil Harvey, a Dark Knight and orphan who gives his life to serve the city of Baron – the capitol city of the world. 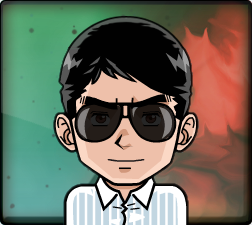 He leads the Baronian Air Force known as ‘The Red Wings’ and we find him as he attacks the defenseless people of Mysidia to steal the Water Crystal (one of the elemental power sources of the world). When he returns to Baron, he expresses his disdain for the actions and is relieved from his leadership post and sent on a quest to the village of Mist where he is supposed to deliver a package. His best friend, Kain, follows him and the two reach Mist only to have the package explode and burn down the village of defenseless summoners save the sole survivor, Rydia a young girl whose mother died after a battle with Cecil and Kain. Cecil realizes that Baron is evil and he is supporting the evil so he decides to rebel against the king. The king hires a dark man named Golbez to run the Red Wings and he ultimately is revealed to be Cecil’s brother Theodore who has been controlled by the ultimate evil. As the story goes, Cecil returns to Mysidia after a near-death experience as a dark knight where the people LOATHE him and try to find ways to hurt or kill him. He agrees to climb Mount Ordeals, face his darkness, and he is transformed into a Holy Paladin. From that point on, Cecil becomes a holy warrior and makes an amazing group of friends. In the end, he and his friends face off against the ultimate evil, a lunar monster named Zemus (later transformed into a being of pure hatred, Zeromus). Cecil and his team return to Earth as heroes, he marries Rosa, his childhood friend and the two become the new king and queen of Baron. So why is this game my favorite? Well there are many reasons. The first reason is that I love the idea of the central storyline which is that darkness can be transformed to light and that strength alone is not enough to win every time. The transformation of Cecil from Dark Knight to Paladin is a terrific and personal thing to me later in my life. In my early teens and even some of my early 20’s, I was a very dark person with many issues. I didn’t mind hurting people if I would gain from it and I didn’t believe much in any kind of moral or spiritual good. However, when I was 24 (circa 2005), I faced my own darkness when I risked losing my wife and many friends due to my own selfish behavior. I released the darkness and gave myself to God and let Christ change me through and through. Much as Cecil was a creature of darkness who gave up his darkness because he realized his life was on the wrong track, so did I. Very few RPG’s even now have truly done a good job at showing a true redemptive story like the one in FF2. The guy who willingly killed people and did bad things realized the error of his ways, repented, went through a major change and become the ultimate good guy. That’s a story that I can relate to and so can many other people. If you didn’t grasp this with the first heading, let me re-iterate. The storyline of this game is amazing! Not just the main storyline of darkness being replaced by light. Every one of the twelve characters you can have in your party at various points have a great back story. They don’t just appear out of NPC Land and help you. You at least understand some of their stories as you meet them. As the game goes on, ALL of them grow and mature as people and their actions have a significant impact on the storyline and the player’s perception of the world. If one of the characters dies (which they do in this one) you actually feel genuinely sorry for them. When the game ends you will feel sad that you didn’t get to see how they all ended up in the future (though there are a few additional game ‘sequels’ that lets you catch up with your favorites). The world itself is a living, breathing story that you feel as you play the game and it makes me, as a player, genuinely care about the world my hero is trying to save. Before I played FF2, I didn’t even think video games really cared about a story and this one really changed that perspective for me. If the story of FF2 was made into a book or movie, I would read/watch it often. In fact, I loved the story so much that I actually wrote my own comic books with the characters in other stories (what is now known as Fanfiction) because I didn’t want it to end. Even now after I have played the game literally hundreds of times from start to finish, I still feel my old love for the story and characters with each play through. In fact, I usually play through it at least once a year even now. Prior to the release of FF2, most of the video games I had played had a very black and white storyline. These people are the good guys, these people are the bad guys. The bad guys do bad things and the good guys win. You really never questioned the motives of the bad guys or even the good guys in the story of most games. But that all changed for me when I played FF2. Sure, the story does have a clear duality in that good and evil both coexist and one tempers the other, but the world is NOT black and white. I might face a villain in the game and my first impression is HAH! I am going to get you bad guy! Then they speak to you before the fight and tell you why they are doing things and I actually have to stop and think… wait… that’s not such a bad idea. The most prime example of this was the Lord of Fire named Rubicant (Fiend of Fire in the original English translation). 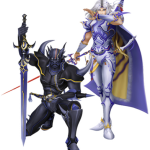 Rubicant is the leader of the 4 elemental lords and is the right hand man to Golbez (the main bad guy for most of the game). He is vicious and is really hard to beat when you face him. But when you hear him talk you realize he has better morals than most of the ‘good guys’ Cecil encounters throughout the game. He expresses he is very sorry for what happened to one of the main character’s (Edge) parents and that he did not approve for them to be harmed. He talks about how he believes that the world is full of bad people and he has simply chosen to side with the “Least” bad person he can find. Did I mention that he even heals you before you fight him? After you defeat him, he ends up giving a pep talk to the character whose parents were recently killed and tries to teach him that rage and anger are dangerous and will lead to harming others – wait… isn’t he a “Fire” guy? That’s my point! The example I gave is one of the MANY examples found in the game. In fact, the reason the ultimate bad guy, Zeums, wants to destroy earth is that he believes that the people of the Earth are too weak and impressionable and he had been opposed to the people of the moon (Lunarians) having any allegiance with them. I mean it’s still a bad motive but you have have to pause and think about it. Reason Four – Travel in Style! Okay, so this reason is kind of petty but I don’t care. FF2 has a million different cool ways to get around in the game. When the game begins, your character is on an airship – one of my favorite RPG vehicles bar none (ask my IRL friends how many of my tabletop games DO NOT feature an airship. LOL). 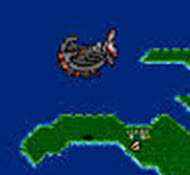 As the game goes on, you drive a hovercraft, you ride a boat, you can take a Chocobo anywhere (even flying black ones), etc. This game also has THE MOST airship choices in any FF game that I know of. Your first airship that you actually control is called ‘The Enterprise’ (Too bad it isn’t a starship) and you can fly it around for a good while. Then, you later acquire the Falcon (If they called it the Millennium Falcon I would KNOW something is up). When the Falcon crashes, you have to get it repaired and later you must use it to fly int the underground portion of the world. Later on you actually use a hook ON the Enterprise to pick up the the hovercraft. How cool is that? But the grandaddy of them all is the final airship – The Big Whale. Sure, the name is kind of weird but this airship is ACTUALLY a starship. Yup, you HAVE to use it to get to the moon to face the ultimate evil (TM) but you can actually pilot the thing around on Earth which is crazy because it is bigger than most of the cities (at least as far as map tiles go). This ship comes with a sleeping quarters and even a Big Chocobo on board. You can’t get much more Final Fantasy than that! I also love that the ultimate airship even has its own theme song that just oozes awesomeness. Sometimes I would just cruise around in the Big Whale to listen to its BGM. Speaking of BGM, another great reason why FF2 is the best is the music scoring for the game. Yes, it is still MIDI as that was all that the SNES was capable of producing but the MIDIs were legendary. 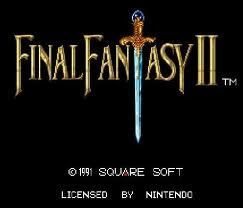 Let’s start with the title screen which features the “Final Fantasy Crystal Theme”. Words can’t describe the way this song is made but it is a pretty, harp-driven song which serves as the main theme for many of the future FF games, listen to the main themes of even FFVII and you will hear it! Then there is the Red Wings theme which you hear at the beginning of a new game – it is a pompous song with a ‘marching’ feel to it that will remind you somewhat of the Imperial March from Star Wars. At various points in the game, a main character or main supporting character may suffer an intense tragedy or even die. The music that is played is so haunting and painful that it still hurts me to hear it. Not sold yet? Well the Paladin theme that plays when Cecil transforms features this solitary tonal ‘gong’ sound in the early measures and eventually builds to this deep and emotional song with many different layers and you can feel the tension as Cecil turns back on the life he knew and starts a new one. Did I mention the awesome Big Whale song? What about the ‘Chocobo’ theme? All of these are awesome too. 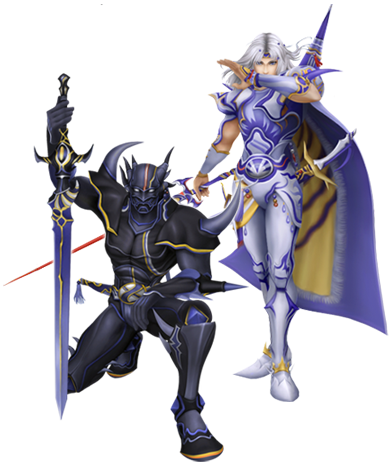 Golbez’s theme is one that strikes terror into your heart with this scary organ-sounding melody and minor chords. I could go on and on. The bottom line is the the music in a game or movie sets the tone for the scenes as the movie plays. Every BGM from the game is perfect for the time it is used. Don’t believe me? Check out OverClocked.org, the famous BGM remixing site. The remake gallery of FF2 music is one of the biggest ones on the site! This reason is one that also encompasses most of the other items mentioned above but will tie this all together. FF2 hosts a MOTHERLODE of gameplay revolutions that were virtually unheard of prior to the game and became staples in the RPG video game world for years. The game had the ability to change the organization of your party members both on the battle field and on the map. Your battle field allowed for two rows of heroes and many of them could not do their best work if they weren’t in the proper place (archers, for instance could not shoot unless they were on the back row). If you changed the position of the person in the ‘center’ of your party list, that person actually appeared to be walking around on the map. So if you got tired of looking at Cecil, put Rydia up front. The game also featured the first known use of ‘Monster Summoning’ which became a staple of the Final Fantasy series (and many others). The game was the first RPG of its time to feature the Active Timing Battle (ATB) system which made it so that faster characters (and enemies) attacked more often than their slower counterparts and allowed for the battles to play out more like they might in real time. Some of the enemies are impossible to beat if you don’t use the ‘Slow’ spell on the enemy or use Haste on yourself – they may attack 4 times per your team’s one time. The control interface made great use of the D-Pad, all 6 buttons (A, B, X, Y, L, R) and even start and select. All in all, the game was an amazing accomplishment in gaming that has set more standards than any other game of its time and even since its time. Sure, the new games out there may have flashier graphics, full stereo music, 3D worlds, etc. But they just don’t have the same ‘soul’ as FF2. That is why I will forever consider FF2 as my favorite game and the best RPG I have ever played. RGB is outta here! This post makes me want to play this game over again. I played it when I was about the same age as you, but didn’t understand all of the story back then. I too like the redemptive story it had. I can remember playing this at Walmart on a display. It’s strange that they had it available to test out; it may be the only RPG that I can remember that you could try before you bought it. Ah the SNES, such a great system. I miss those days of gaming. Great post, Dave!